“You’re just happy to be here, aren’t you?” I looked to the tour I was leading through the U.S. Capitol to see who had said this to me. It was the boy who had just started fourth grade. He was right. He was also delighted to be there, himself. 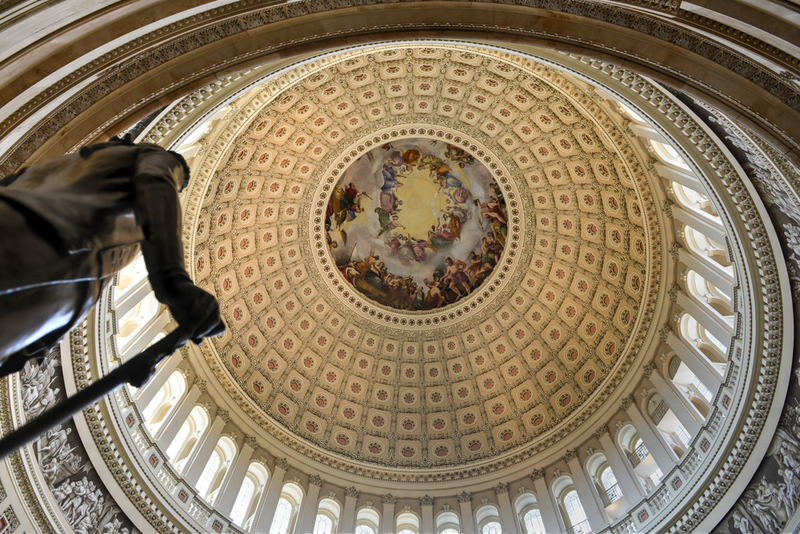 As we stepped into the Rotunda—the actual, iconic dome of the Capitol and the hub of its breathtaking art—his eyes shot directly up to the fresco at the dome’s center. Entitled “The Apotheosis of Washington,” I explained that the painting portrayed a heavenly George Washington donned in purple, and that below him, a host of Roman gods featured alongside American historical figures. It was painted by Constantino Brumidi, a 19th century Italian-American artist, as was the fresco below showcasing a timeline of American achievements. One of my absolute favorite aspects of my time in Congress was getting to experience visitors’ first trips to the Capitol with them, and help provide their understanding of its history, functions, and art. And, it meant a great deal to realize that a significant portion of its design and culture is Italian. Through the Congressional Fellowship, NIAF is proving that the world of government is colored and deepened by culture and language. This is something I had always believed, but never felt was given enough attention by schools which focus on politics and business—even ones with a huge international population, like my own. By partaking in the fellowship program, the consortium of Italian American Congressmen and women presented to us opportunities I couldn’t have imagined. 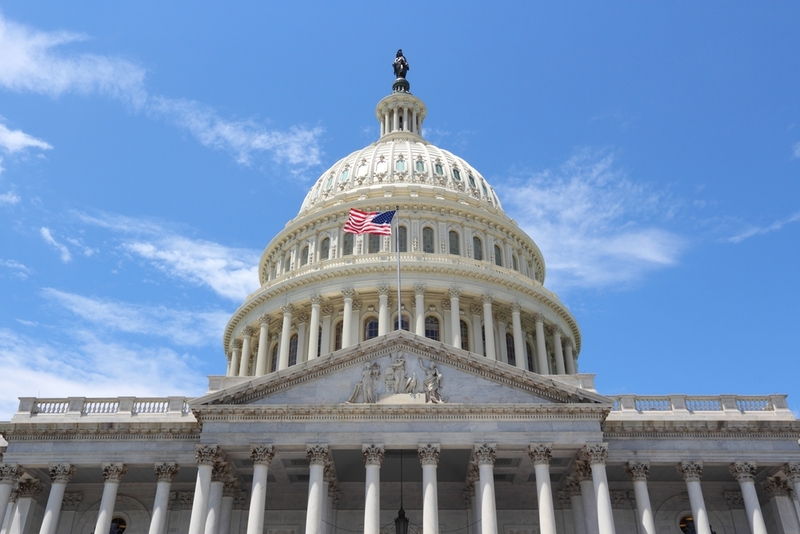 They and their skillful office teams provided us with insight into the functions of a Congressional office, the priority and methods of serving constituents, and countless topics discussed at briefings and hearings, many of which we attended for them. 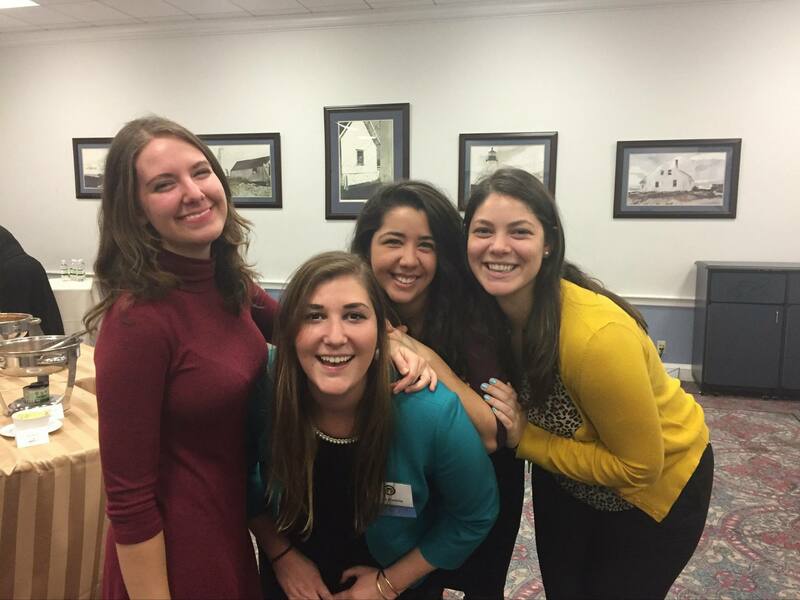 Amanda Coker, pictured left, with Lisa Femia (center) – NIAF’s Public Policy Manager, and other Congressional Fellows, Sarah Meo and Adrianna Tomasello. I interned in the office of Congresswoman Suzanne Bonamici, who, through her pioneering work in education and caring impact on the Science, Space, and Technology Committee, showed me the importance of maintaining courage in politics. I learned how to maintain the front desk, draft response letters, and conduct legislative research. My office also generously made it possible for me to visit the Library of Congress and the White House, and to witness meetings hosted by the Congresswoman herself. In addition, the spirit of Italian inclusivity, care, and festivity is alive and well in the Italian American Congressional Delegation, composed of some of the kindest people to grace the halls of Congress. There I found mentors who completely changed my expectations of what it means to be a leader, a friend, an Italian American, and a student of life. Walking into our nation’s capital and hanging up my coat is something I thought would become less surreal over time, but I was wrong—that happiness never went away. Image | This entry was posted in Blog, Culture, History, Italian, Italian American, Italy, NIAF, Uncategorized and tagged Capitol Hill, Congress, Congressional, Fellow, Fellowship, Intern, Internship, Italian, Italian American, Italian culture, Italian Heritage, National Italian American Foundation, NIAF. Bookmark the permalink.